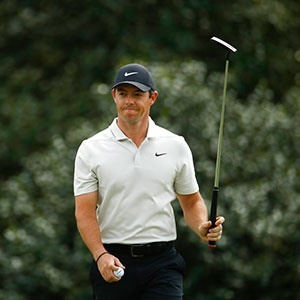 Augusta - Rory McIlroy renews his quest to complete a career Grand Slam when the 83rd Masters tees off in the stately confines of Augusta National on Thursday. "It's pure golf," says four-time Masters champion Tiger Woods - the player most bedevilled by boisterous fans who at most venues these days are so busy snapping selfies they barely have time to watch him hit a shot. "Some of the events, like the Open Championship - because the golf courses are so old that there's not a lot of room - there's sometimes 75 to 100 people inside the ropes following us," Woods said. "That gets a little distracting and it gets a little difficult at times. "Some of my best shots I've ever pulled off have been here," Woods said of a course that is a test of creativity - and the ability to pull off a seemingly outlandish shot - as much as the US Open is a test of stamina. "Augusta National allows you to do pretty much whatever you can imagine in your mind in each situation," said Spain's Jon Rahm, who tees off in his third Masters alongside 14-time major champion Woods and China's Li Haotong at 11:04 (17:04 SA time). McIlroy headlines the next group, teeing off at 11:15 (17:15 SA time) alongside American Rickie Fowler and Australian Cameron Smith. World number one Justin Rose of England tees off in the penultimate group at 1:49 along with three-time Masters winner Phil Mickelson and American Justin Thomas, while two-time reigning US Open champion and 2018 PGA Championship winner Brooks Koepka goes off in the final group at 14:00 (20:00 SA time) alongside England's Paul Casey and three-time major winner Jordan Spieth. It's McIlroy's fifth chance to become just the sixth player to win all four of golf's professional majors - and this year's Masters is widely considered his to lose. "I think that's one of the great things about Augusta National - you can't help but be creative and see things, and that's one of the really fun things about this place."